In the first, a couple arrives at your church. They’re on time…early, even. They’ve been a part of the church for years. They serve in various roles. They’re leaders, they’re givers, they’re faithful. And they’re on time…early, even…because they structured their morning to get to church, drop their kids in their classrooms, grab a cup of coffee, and spend time talking to their friends. And then they hit the auditorium, where they see stanchions set up in the back sections, creating a funnel to push them towards the front. They don’t really want to sit in the front. The auditorium is mostly empty – after all, they’re arriving early – and they want to sit where they want to sit. Not on the back row, necessarily, but not on the front one, either. And so, begrudgingly, they grumble past the barriers and sit where they don’t really want to, because the system said they had to. In the second scenario, another couple arrives at your church. They’re running behind…late, even. They’re brand new to the church and to your city. They’re trying to figure out if your church is right for them. They’re fragile, they’re nervous, they’re scared. And they’re running behind…late, even…because this church thing is new. They didn’t realize how long it would take to get there, didn’t understand the kids check in process, didn’t know how to navigate the facility when they arrived, and didn’t realize how awkward it would feel to be in an unfamiliar place with no familiar friends. And then they hit the auditorium, where they see a worship service already well underway. And while they can spot a single open seat here or there, a seating team member tells them if they want to sit together, they’ll have to find a seat up front. The auditorium is mostly full – after all, they’re arriving late – but they really don’t want to be paraded down front. They don’t want to pick and choose their seats, necessarily, but they don’t want to get escorted past 500 pairs of eyes, all of which feel like they’re on them. But because they’ve gone through this much trouble already, they nervously follow the seater down the long center aisle as the blood travels up the back of their necks, because the system didn’t give them the option not to. 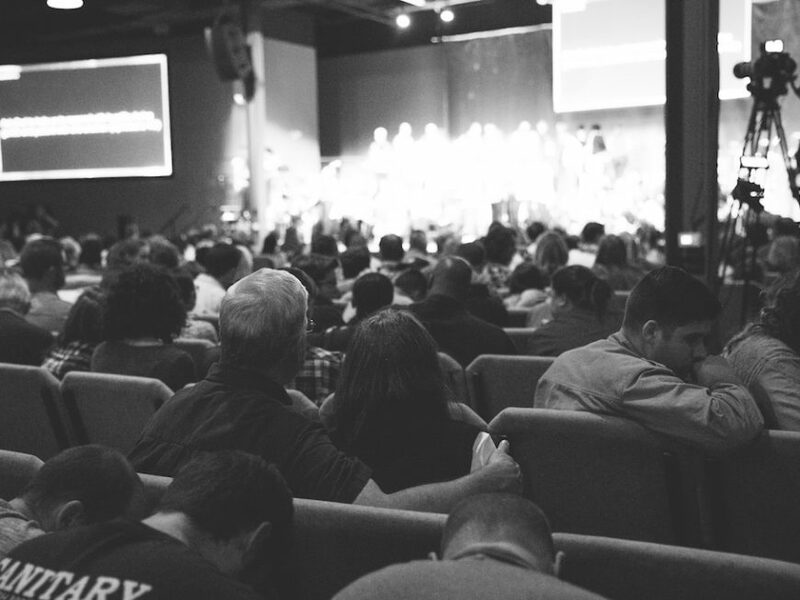 As leaders in church guest services, we are faced with a weekly litany of decisions. We have to decide whom we’re going to offend. We have to determine if we’re going to be friendly or intentional. We have to choose to absorb the awkwardness on behalf of our guests. But there’s one choice that those who lead guest services (i.e., staff members and volunteers) and those who live guest services (i.e., church members and seasoned attendees) should agree on, every week: we should choose inconvenience. We should park farther away from the building. We should yield our preferred seat so a latecomer doesn’t have to get paraded down front. We should arrive early or stay late so that we can serve other people who are new to the church and could potentially be new to the faith. Choosing inconvenience isn’t always easy. But it’s easy to see how our inconvenience makes things easier for others.